Over 80 different dynamic poses to choose from in this silhouette pack. 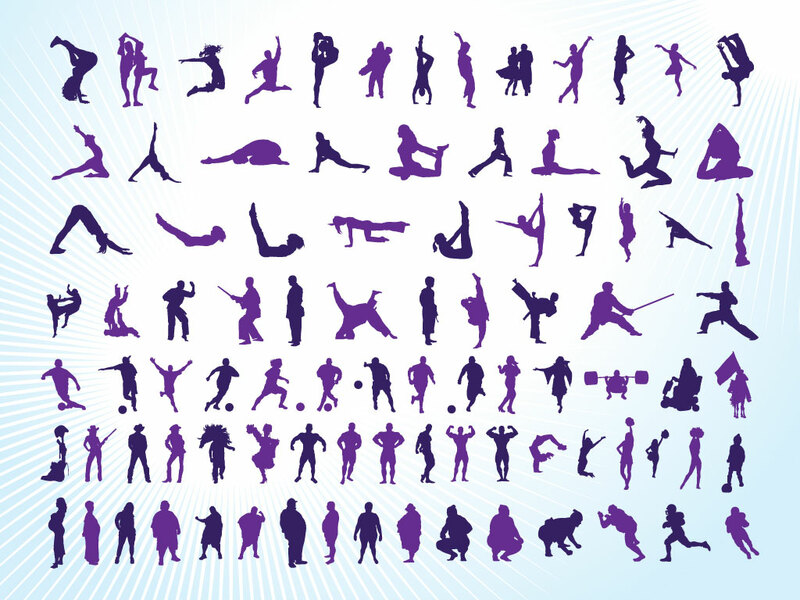 Great vectors of people dancing, doing martial arts, stretching and flexing. Perfect graphics for your athletic and exercise oriented designs. Tags: Athletes, Dance, Exercise, Martial Arts, People, Silhouettes, Sports.